As winter approaches, join us for a celebration of Fire & Light in Wigtown’s bookshops. Find a warm welcome in Scotland’s National Book Town at this new festival presented by the Association of Wigtown Booksellers. Events are free and last one hour unless otherwise stated. 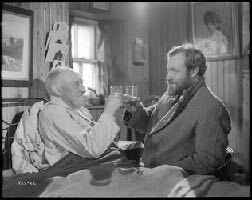 Screening of the original 1949 film based on the book by Compton Mackenzie, features the actor James Robertson Justice who, for a time, lived near Wigtown and claimed it to be his place of birth. £6, to include a dram (£3 under 18s). 1:30 p.m. The Bookshop Fire, Light and Faith. Dr Margie Tolstoy (University of Cambridge) examines of the roles of fire and light in comparative religions. 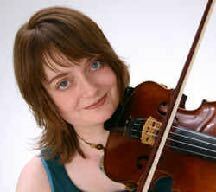 3 p.m. – 5 p.m. Old Bank Bookshop Amy Geddes: ‘Fyne Fiddles”. Volume 1 – a suite of lessons also available online and as a CD. Join Amy for an afternoon of beautiful tunes and great craic! Refreshments provided. Free entry, but donations gladly accepted! 6.30pm ReadingLasses Open Book Writing Group. Gather round to hear members of Wigtown’s writers’ group read seasonably spooky stories at ReadingLasses Bookshop Cafe. The evening will include readings of original tales and old favourites. 11am Curly Tale Books: Join local illustrator Shalla Gray to create your own fiery window piece to take home. People live on in memories, so come and share a story about someone you remember – feel free to bring an object or photo. 7 p.m. 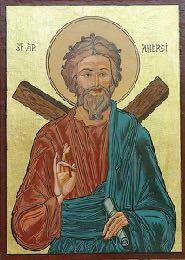 Craft Hotel: Join our local speaker Andrew Wilson who will discuss “How did Andrew become Scotland’s Patron Saint” while enjoying a three course Scottish dinner prepared by our Chefs. Tickets are £20. Please book @ Craft Hotel beforehand. Flicker and Flame: A collective quiet by candlelight.